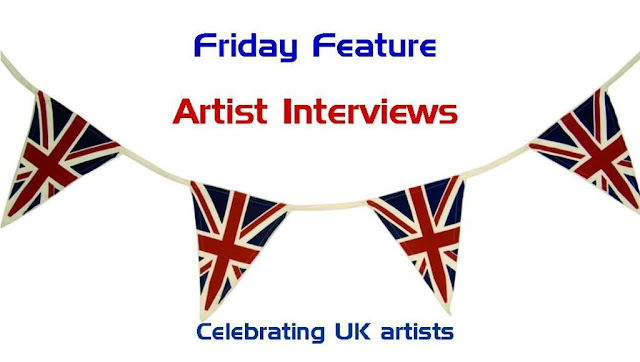 Starting next Friday I am going to feature interviews with British artists. The artists concerned work in the areas of scrapbooking, photography, mixed-media, art journaling, feltmaking and quilting. Hopefully something for everyone. Come back on Monday to find out how you can have the opportunity to win a giveaway. Contents include items for art journaling, scrapbooking or mixed-media. And here's a giveaway for international visitors. Come back on Monday for more information on how to win these giveaways and a sneak peek of the artists taking part in my new Friday Feature. Looking forward to seeing you soon. Thanks for stopping by. Sounds really exciting Bernice. Well done you good luck. Oh how exciting, I've been waiting for this. To digi or not to digi? Summer of Colo(u)r ~ or not!